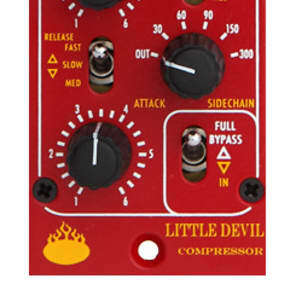 SKU: LDC Categories: Compressors & Limiters, Dynamics, Recording, Monitors, Signal Processing Tags: inductors, Littlefish audio Chandler limited LDC Little Devil Compressor, Technically and sonically speaking, the Chandler LITTLE DEVILS are steeped in the sound and function of all Chandler gear - discrete amplifiers, transformers. CHANDLER LIMITED furiously enters the 500 race with its line of 500 Series Modules for your favorite lunch box! 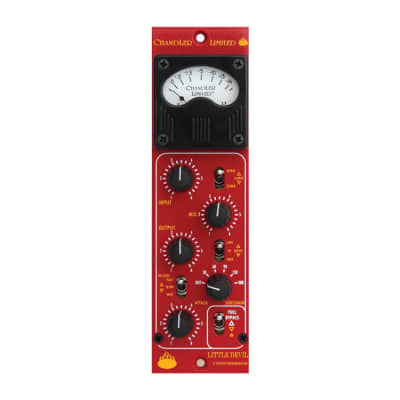 Using all discrete circuits that combine Chandler’s best designs with the hottest designs from the past, transformer balanced everything, and the American handmade quality you expect from Chandler, the 500 Series Modules will take your lunchbox or rack system to the next level! 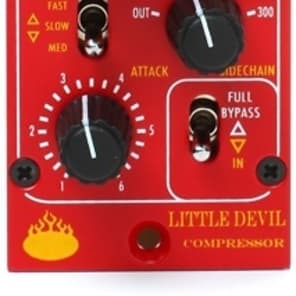 The Little Devil Compressor is a mixture of all that is Chandler. 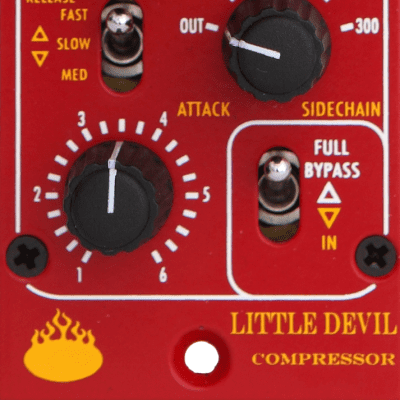 It combines elements of our LTD-2 and Germanium Compressor, as well as 2264 and 33609 units, into an all new compressor for a 500 format. 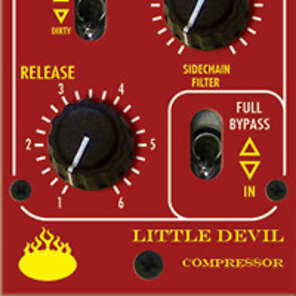 Discrete transformer sound and handmade quality are the make up of the Devil Comp. If you like any of the units that inspired it, you will enjoy seeing those sounds come to the next level. 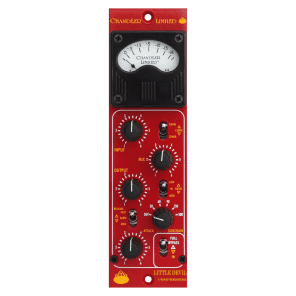 Revolutionary controls like wet/dry, sidechain filter, and curve selection make the unit extremely flexible. 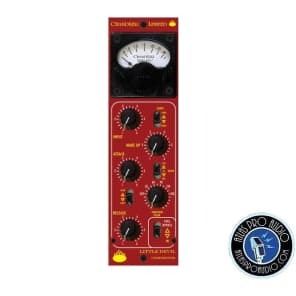 When combined with its intense tone, this compressor gives you a powerful package in a small box! Please note that all Devils feature increased compatibility! No power issues here! 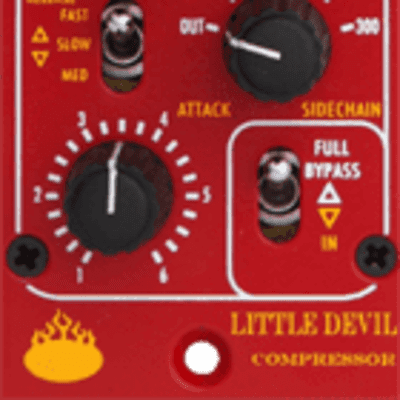 Little Devil EQs and Little Devil Compressors have been upgraded to eliminate the power conflict experienced with some 3rd party racks and lunchboxes. The upgrade has been tested in the racks listed above. 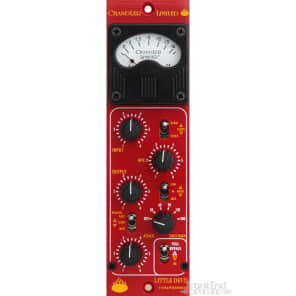 Any Little Devil EQ or Little Devil Compressor with compatibility issues can be returned to Chandler Limited for a free upgrade (parts and labor), however, Chandler Limited will not cover shipping costs.